Trying to recall a time when you didn’t ‘Google’ something, ‘share’ a post on Facebook or use the word ‘like’ in a way other than to express a feeling of admiration seems like a distant memory. Technology has helped the whole world evolve as countless innovations have added another dimension to everyone’s daily lives. From progressions in Internet technology, to finance, to discoveries in science and beyond, everything over the past decade has changed the way we are as people, the way we communicate, the way we perform business and even live. But, which of the recent technological innovations are the most ground-breaking? Take a look and discover some of the biggest technology breakthroughs over the last ten years to make us who we are today. Forgetting to turn off your lights after you leave the house and being worried about your accumulating utility bill is a thing of the past. You can now turn your lights off from the click of a button on your mobile phone, even when you are 500 miles from your home. You can even turn on your heating before you leave your office to ensure that it’s warm for when you get in. Convenience and cost-effectiveness are two of the main reasons why smart home technology has become so popular in modern households as people living in the UK, now more than ever, crave convenience and speed in every aspect of their lives. 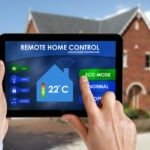 The smart home market is poised for remarkable growth over the forthcoming years as more and more people adopt the trend and embrace the reality of smart home technology throughout each element of their lifestyle. 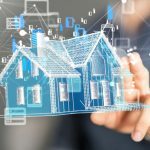 The property industry throughout the UK recognises the capability of smart home technology and the appeal it creates to buy to let investors. Companies like RW Invest who specialise in off-plan developments offer apartments with energy efficient and low carbon technology, attracting a diverse range of tenants to their properties. New technologies are revolutionising the science of transplants. Due to a severe lack of registered organ donors, this has led to a limited supply of organs, leading researchers to study how they can make it possible to build an organ from scratch. One approach to try is to print them. Using three-dimensional printing, ‘bioprinting’, there is no reason as to why body parts cannot be made successfully. While this is largely experimental, it has been widely regarded as an industry-changing technology. In 2013, researchers from Cornell University printed an outer ear successfully, that resembled and functioned as the real thing. 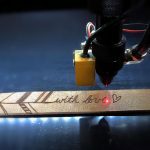 Using similar processes, blood vessels have also been produced, and skin skills have been able to be printed to use on wounds to aid rapid healing. The printing of human livers and a 3D printed liver translate is expected to be carried out by 2020. This is just one of the amazing scientific breakthroughs enabled by huge advancements in the technology industry. Blockchain is one of the newest ground-breaking technologies that has shaken the property market. As one of the most drastic financial shifts there has been, this revolutionary piece of software aims to make property transactions easier for buyers. Contracts and documents previously required printing off paperwork and the signing of signatures in order to complete, but this is now finalised instantly through the smart and speedy electronic system. Many people purchasing property view the out-dated transaction style as complex and lengthy, whereas Blockchain relieves this and encourages more people to buy property in the new, super-efficient process. It is still quite new, but as Blockchain gains a firm acceptance in the real estate market, a growing number of industries will adapt to this trend, and it won’t be long until Blockchain technology is usual practice.